When we moved to our new San Francisco apartment this summer we graduated from laminate countertops to granite. 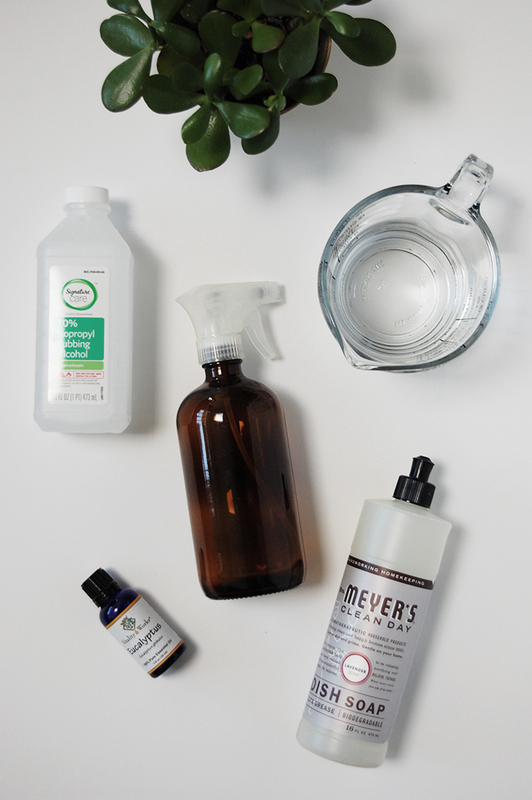 Because most conventional store bought and DIY all purpose cleaners contain acidic ingredients (vinegar, lemon, etc) that can be harmful to use on stone countertops, I knew I needed a new granite countertop cleaner. 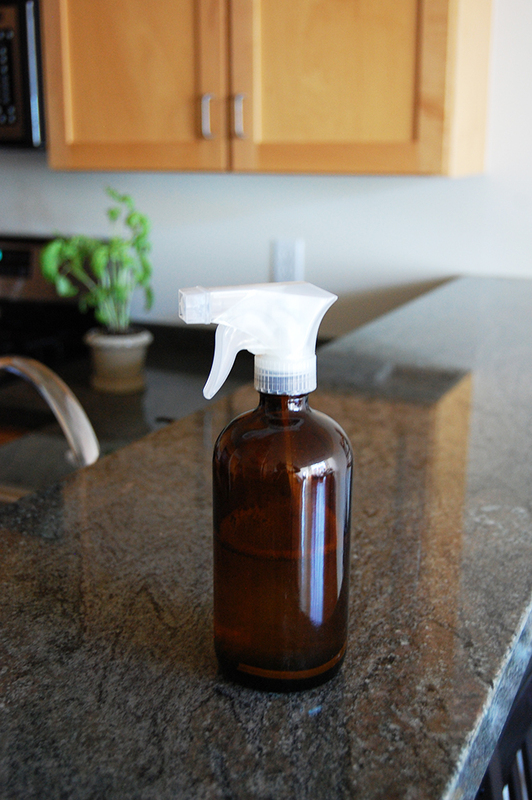 Combine in a spray bottle and you’re ready to clean! An easy, cheap, natural granite countertop cleaner. Cautionary note: I would not recommend using alcohol as an ingredient when cleaning more porous stone surfaces like marble, onyx, or travertine. For those, 1tbsp of dish soap to 2 cups water is a better, more gentle alternative.